God has united himself to human beings – to us – irrevocably in Christ. He is with us and in us. 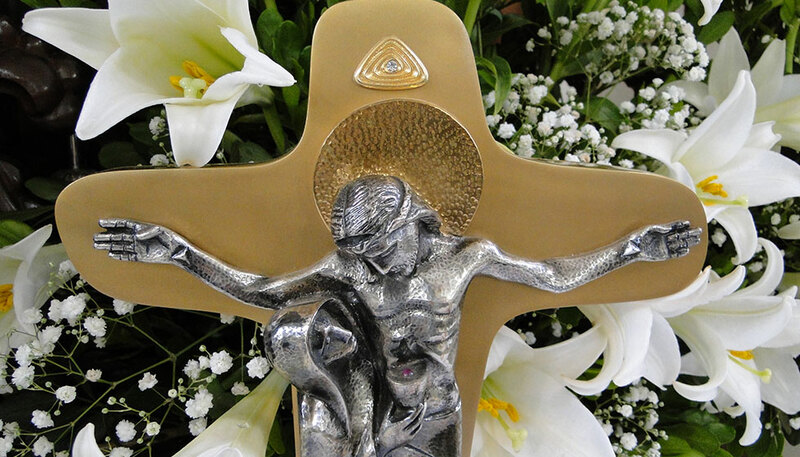 Jesus Christ, by his cross and resurrection, is the new and eternal COVENANT for us. To be God’s covenant partners is for us Christians both dignity and commission. We are personally called, uniquely loved, and entrusted with responsibility for the world. Holiness for today means to discover God in this world and to love him through our world, and in this way to fulfill his will. We call it “everyday sanctity.” As a community we strive to go this “normal” way of Christian holiness with steadfastness and perseverance. 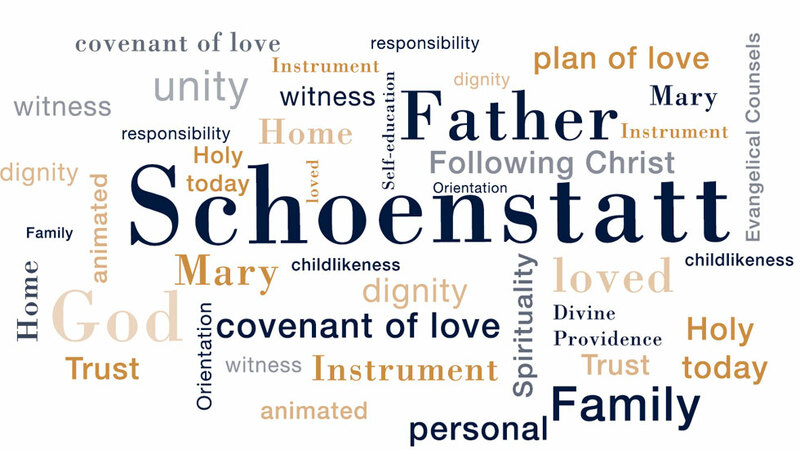 Schoenstatt‘s central founding act and lasting source of life is the covenant of love with Mary. What she is and has belongs to us. What we are and have belongs to her. Can there be a better “exchange”? The more SHE lives in us, the more we grow toward God. The more WE belong to her, the more our little piece of the world is touched and redeemed by God. Our life becomes radiant in her radiance. The covenant of love is an enduring yes to each other. It means being there for one another. We say to her: “Nothing without you. Nothing without us!” She can count on our cooperation. We strive to educate ourselves in such a way that we come a little closer to the idea God has of us. We rely completely on her. Mary is a powerful woman, a Mother full of mercy, a wise Educator. The covenant of love also unites us among one another. We become a family. 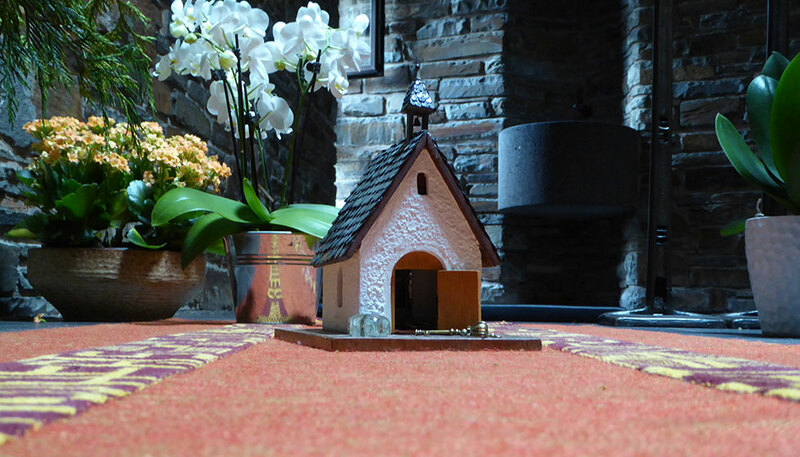 Our home is her shrine – in Schoenstatt and throughout the world. The brooch we wear as Schoenstatt Sisters of Mary bears the image of the Mother Thrice Admirable together with these words of Scripture in Latin: Caritas Christi urget nos. They are a life’s program: We are not here for ourselves. We have been called to follow Christ and to conquer hearts for God. Those who have found their life’s “treasure in the field” can give up everything else. This becomes tangible for us in the evangelical counsels: poverty, virginity, and obedience. The experience of the endless riches of God’s love enables us to renounce things that seem to be indispensable. Because God has become our ALL, we can renounce the love of a spouse and our own children in order to serve many people. The awareness that God has given us a mission moves us to renounce the wishes of our own hearts and fulfill his will through total availability to the community. This name resounds in fullness in Schoenstatt. We hear this name when Jesus prays. We find it again in the words of Holy Scripture. Our faith discovers the footprints of this loving Father in the events of history and in our own life. We experience his merciful love that lifts us up each time we fall. We believe that the great goal of our life is to return home to him. Our way leads homeward to the Father. Many people who had the chance to meet Father Kentenich were given a deep experience of God – a Father experience. Trust, authentic love, courage, and inner freedom grew out of this experience. It brought about a new feeling for life: I am loved with my greatness and my limitations. Father. This was the message given to our founder by God, his charism for the Church – because he belonged completely to Mary. We live from this reality.